Affordable, welcoming and delicious dining options for foodies of all ages! Asheville, North Carolina boasts amazing views of the Blue Ridge Mountains, outdoor adventures from hiking to zip-lining, high-quality resorts plus bed and breakfast inns, a wide range of visual and performing arts, and there are many more reasons to visit the beautiful, historic mountain community. One element completes its heart and explains why Explore Asheville likes to call Asheville, “Foodtopia:” With about 250 independent restaurants, award-winning chefs, over a dozen local farmers’ markets, and nearby farms, the food on your plate is most often locally sourced, perhaps even hand-picked earlier that morning! In short, you couldn’t be in a better place to taste the best of what the North Carolina mountains have to offer. 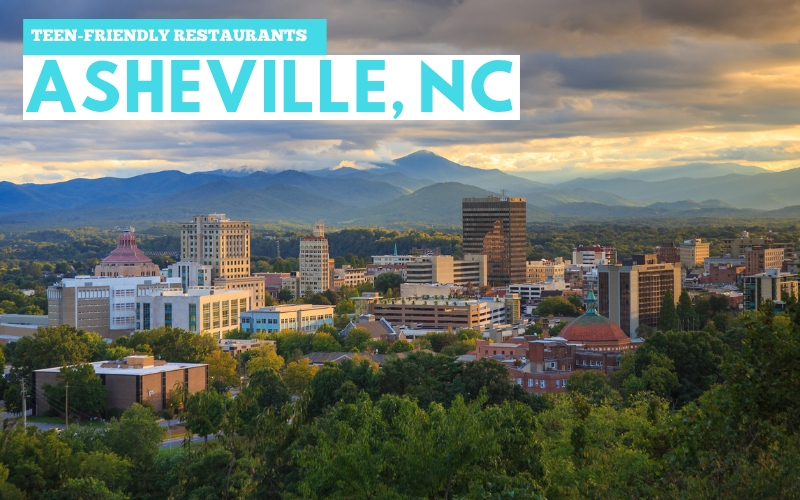 Asheville offers excellent food choices for foodies of all ages, including teens—and as an Asheville-based teen, I can vouch for my hometown’s food scene! There are many teen-friendly restaurant options in this dynamic foodie community, but these are my personal favorites. Each restaurant on the list includes menu options that are approachable and easily understood, with price ranges for foodies who are not yet old enough to work. Staff members at each restaurant are respectful and welcoming towards teens and families. Walking into Dobra Tea feels like being instantly transported into a cultural wonderland. Tables are just inches off of the floor surrounded by pillow seats, so you sit cross-legged and feel immediately at home. At both of its locations in North and West Asheville, Dobra Tea has lots of leafy plants and eye-catching, hand-painted murals. Dobra serves a special miso soup, rich with seaweed, mushrooms, and kale. The addition of kale seems like an unlikely twist, but this version tastes even better than the original. The astounding Apple Almond Toast comes at an approachable $5 price – great for young foodies’ wallets! One of my favorite dishes, sourdough bread is toasted and topped with Granny Smith apple slices, creamy almond butter, and drizzled with honey. The menu is so extensive there’s a separate binder just for tea options! With an extraordinary amount of tea, there’s always something new to try! Teenagers make decisions about restaurants based on how they’re treated by staff members, and being treated as though we are younger kids makes a negative impact on how we view the restaurant. The employees at Dobra Tea are incredibly respectful, treating teens like adults who can handle themselves. Dobra has an exceedingly large variety of teas and an incredibly peaceful environment; it’s an ideal study or hangout spot for teens. 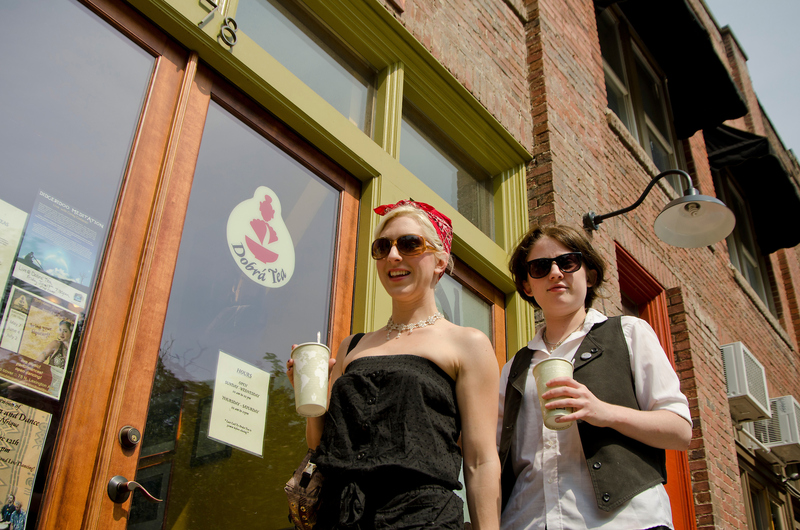 The Hop has three locally-sourced ice cream parlors. In addition to fully decadent options like milkshakes, sundaes, and huge scoops of handmade ice cream, The Hop serves treats that are vegan, dairy free, and other specialties to fit multiple dietary needs. Aside from a diverse menu, the staff at each location treats teens equally to any adult customer. When I walk in to The Hop with my friends, nobody looks at us differently because of our age or questions our ability to behave properly. I can’t leave The Hop without the delicious Aztec Chocolate ice cream made with Pepita milk, one of the many completely dairy-free options. Each location features smooth, creamy, unforgettably delicious local ice cream for every teen foodie to love. In addition to its award-winning desserts, the original location of The Hop Ice Cream Café also has vintage video games to play. The newest location, The Hop Creamery, is open every Friday and is best-known for its “Ice Cream Flights”—little boards with mini cups of four ice cream samples of your choice. 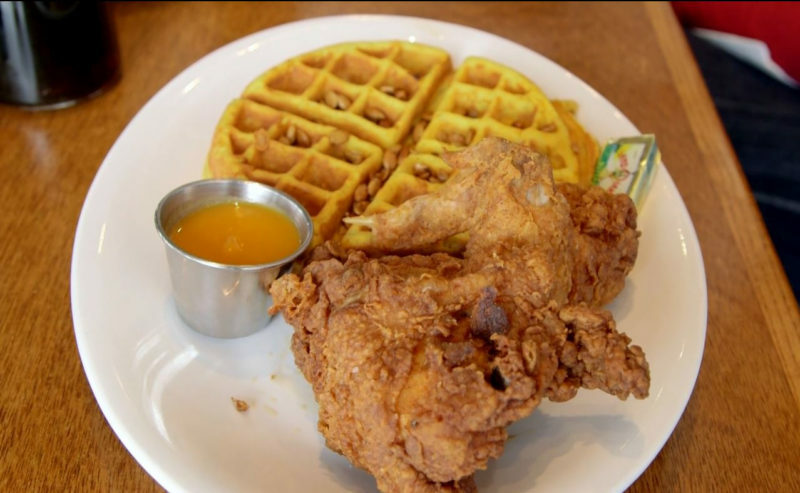 King Daddy’s Chicken & Waffle is a great place to have a delicious and affordable meal for teen foodies on a budget. Just around the corner from West Asheville, its shaded outdoor seating and bright blue booths help make it super comfortable! Aside from diverse seating options, King Daddy’s lives up to its title by serving the most incredible chicken and waffles ever! Cooked like no other, the crispy, savory fried chicken is the best in town, and is a perfect textural contrast to the fluffy Belgian waffle. Chicken and waffles is the most popular meal among kids and teens. It’s hard to go wrong with this iconic duo! King Daddy’s is a staple in Asheville’s food scene with food that’s so perfectly made. For an unforgettable chai latte, a place where you feel safe to study with friends or just tap into free Wi-Fi, Pennycup Coffee is perfect! This is no noisy, busy run-of-the-mill coffee shop. Located in the heart of Asheville’s eclectic art destination River Arts District, Pennycup Coffee is a small shop filled with big wonders! Step inside to a soothing environment where noises of the world outside seem to cease to exist. Pennycup Coffee has amazing seating options, very intriguing to the eye and comfortable. The coffee at Pennycup is astounding! I can’t leave without one of Pennycup’s chai spice lattes. Creamy, hot, and comforting, this unique blend of chai spices is very appealing with a perfect balance of spicy and sweet at the same time. In addition to drink options, the menu offers muffins, cookies, and brownies with new options routinely joining the lineup. From a huge, diverse menu to local art and interesting seating, Pennycup is a place where teens come every day to study and hang out! Imagine a café with delicious snacks and a wall so full of board games that it touches the ceiling. The concept itself is a teen wonderland! Well Played Board Game Café fits this description exactly – board game wall and all. 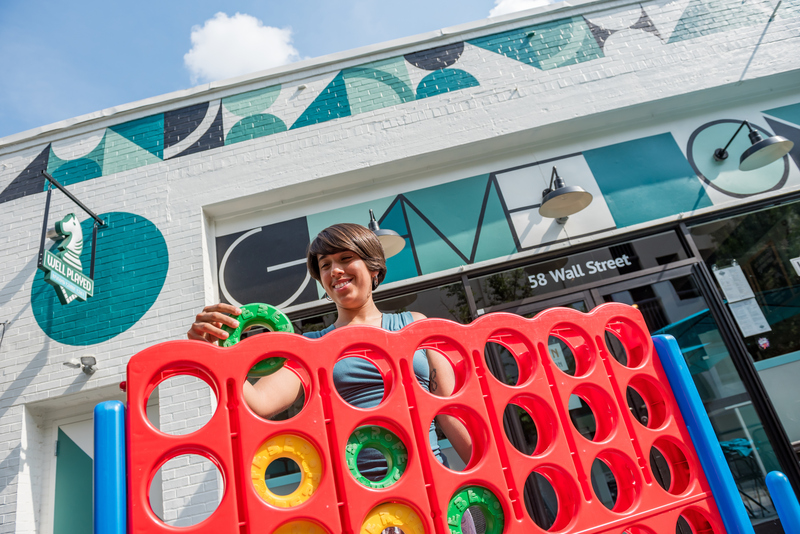 Located at the edge of downtown Asheville, Well Played’s outdoor seating includes life sized board games that you can spot from a mile away! The menu is filled with food and treats, including different trays of fresh, locally sourced vegetables. The best drink to get here is always one of the classy and cool vintage sodas. When my friends and I go to Well Played, we order a different vintage soda every time! Well Played also has one of the biggest board game collections ever! I go with my friends for hours at a time, and we get so deeply involved in the board games that we don’t realize how much time has a passed. A great place for parties of all types or just a fun place to go with friends, Well Played has games, food, and drinks of all kinds. It’s a dream come true for teens like me and my friends! Ask any teen in Asheville: Sushi is more popular than a fast food! Zen Sushi has the freshest sushi in town! The miso soup and salted edamame beat all the other appetizers, both savory and salty in a tongue-tingling perfect way. Each appetizer costs under $5, perfect for a hungry teen on a budget. My favorite main course is perfect for the pickiest of eaters: The classic, simple avocado rolls with pickled ginger on top. The smooth avocado blends perfectly with the slight crunch of the pickled ginger. My other tip: Don’t miss the hot green tea. It’s made traditionally, and proves that not every drink needs sugar to be astounding. The quiet and calm environment of this place lives up to the “zen” in Zen Sushi. If I am ever having a rough day, I will come to Zen Sushi after school and automatically feel better. Between the soothing green tea, amazing menu options, and a calm space to de-stress, Zen Sushi is sure to make your day! Biltmore Estate—the largest house in the U.S.! Blue Ridge Parkway—a scenic drive with lots of overlooks! Waterfall hunting—hundreds are in the area! French Broad River—stand-up paddle boarding, tubing or boating! Western North Carolina Cheese Trail—taste award-winning cheeses! North Carolina Arboretum—scenic trails across the Blue Ridge Mountains! 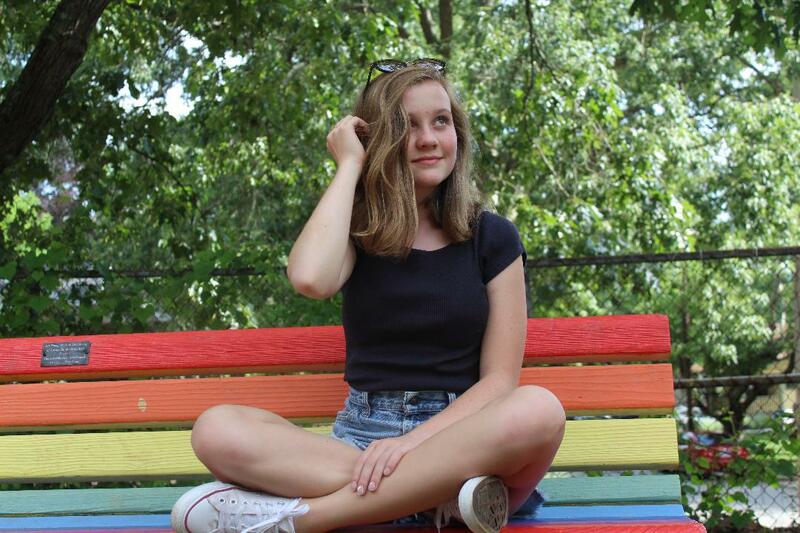 Lily Crum is a teen foodie living in Ashville, North Carolina, who plans to be a journalist. 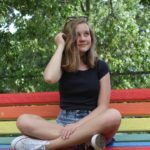 In addition to eating and writing, she loves cats, volleyball, and spending time in the outdoors.